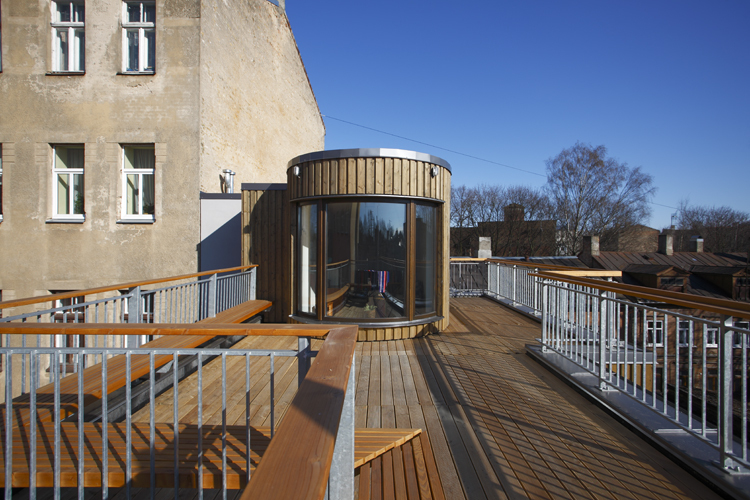 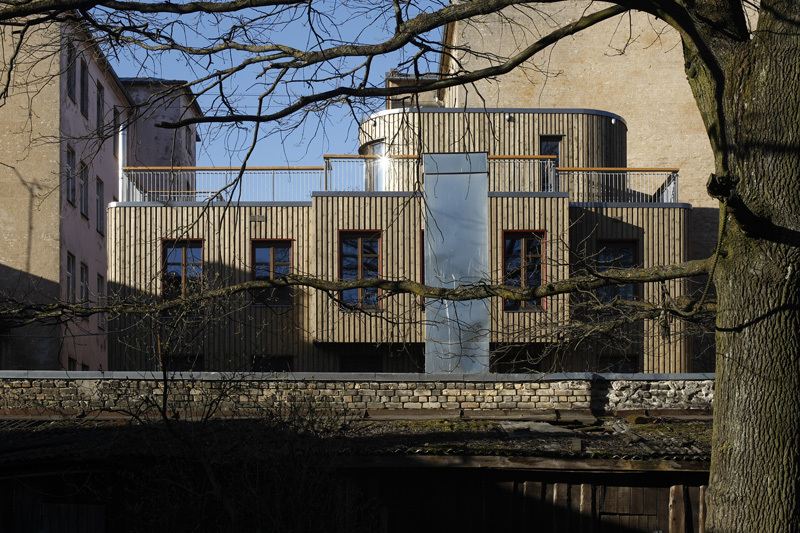 Building is located in Riga, Miera Street, in a courtyard between two wooden buildings, characteristic to 19th century architecture in Riga. 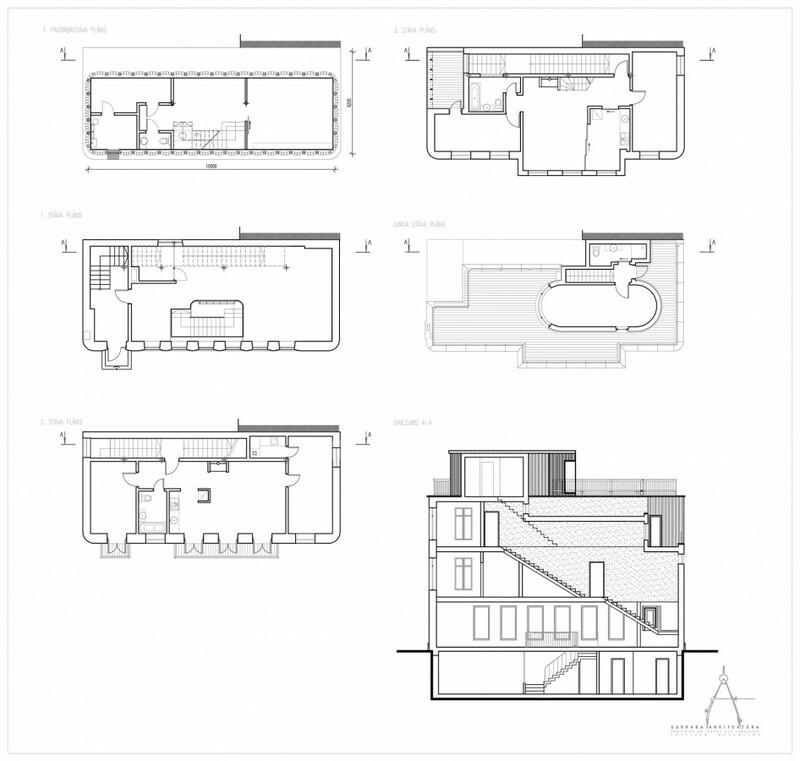 Building volume and layout outline with rounded corners corresponds to building from 1950’s, which was impossible to preserve due to technical condition of constructions. 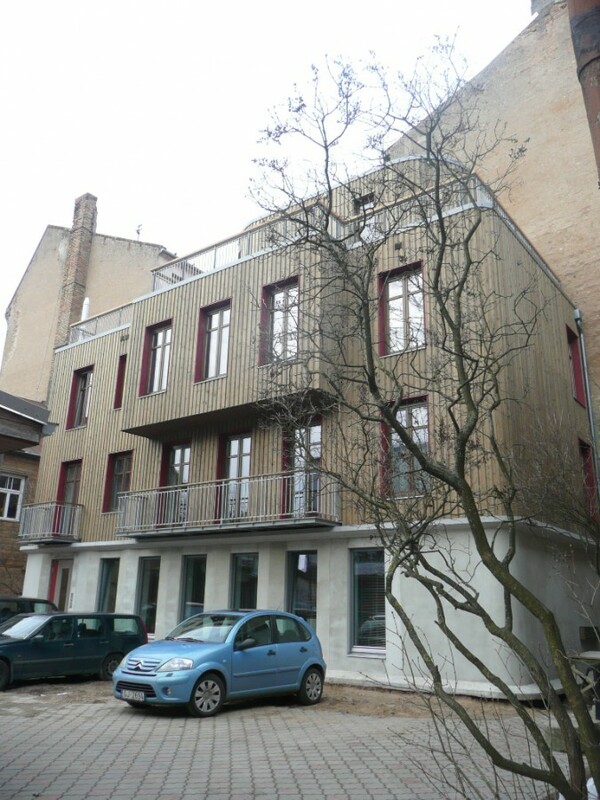 1st floor of building is created as a relief concrete base on top of which two storey wooden volume is located. 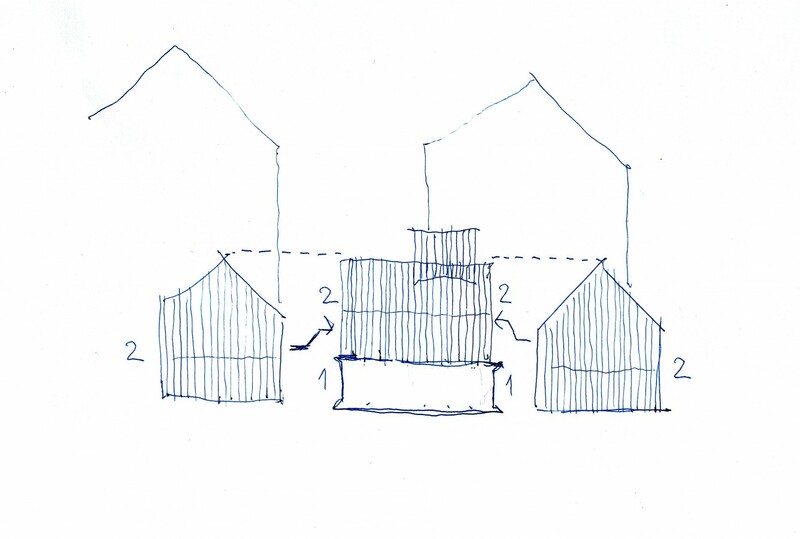 This solution was determined by context of surrounding wooden buildings as well as functional differences of volumes (1st floor and basement floor – office premises, 2nd and 3rd floor – apartments). 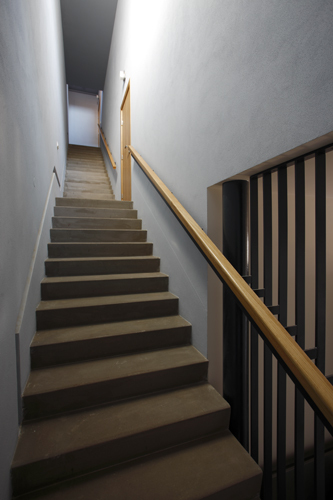 To provide necessary amount of daylight in all apartment areas, continuous staircase is located at building’s firewall. 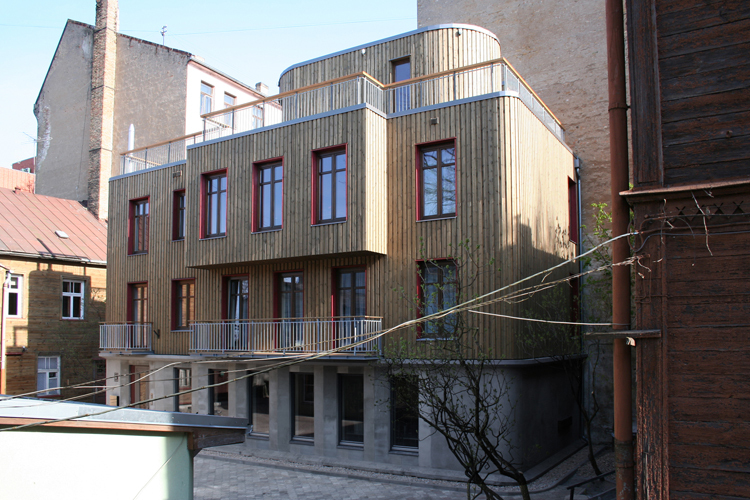 Building is completed by 4th floor roof volume with terrace.